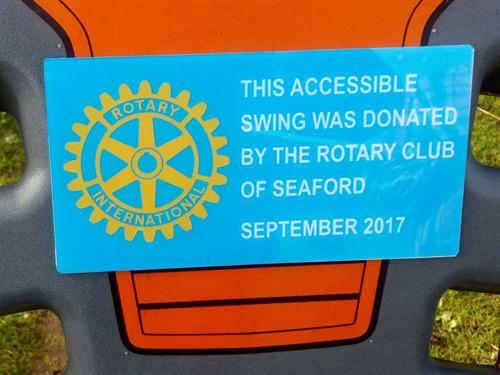 Seaford Town Council is delighted to announce that thanks to the local Rotary Club there is now a swing in The Salts Recreation Ground which is suitable for children with learning and physical disabilities. The Rotary Club of Seaford has a strong commitment to support the youth of the town in a number of ways from running youth competitions and encouraging youngsters to improve their talents, to helping with reading and maths at local schools and giving support to the Rotary Youth Leadership Award scheme and the Safety in Action week. 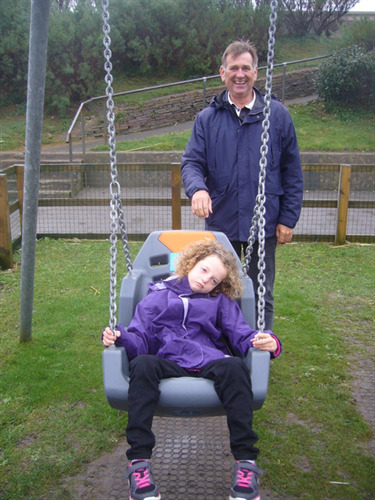 When the organisation was approached about the lack of an accessible swing at The Salts Recreation Ground they were immediately willing to help. With the assistance of Seaford Town Council the swing was purchased and installed and can now be found amongst the children’s swings behind the café. It will without doubt enhance the lives of the young people who use such a facility.